Exclusive: For several decades, mainstream U.S. journalists have fled from the career-threatening label “liberal,” even to the point of destroying honest colleagues who got in the crosshairs of the Right. The story of the late Gary Webb and his Contra-cocaine revelations was a troubling case in point, writes Robert Parry. One of the Los Angeles Times reporters who joined in the orchestrated destruction of investigative journalist Gary Webb’s career has acknowledged that the newspaper’s assault joined by the Washington Post and the New York Times was a “tawdry exercise” amounting to “overkill,” which later contributed to Webb’s suicide. This limited apology by former Los Angeles Times reporter Jesse Katz was made during a radio interview and comes as filming is about to start on “Kill the Messenger,” a movie about how, in 1996, Webb revived the scandal of the Reagan administration’s protection of cocaine traffickers involved in the CIA-backed Contra war against Nicaragua’s leftist Sandinista government. Webb’s investigative series for the San Jose Mercury News traced some of the Contra cocaine to one of the most important early manufacturers of “crack” in Los Angeles. His articles aroused anger toward the CIA especially from African-American communities which bore the brunt of crack-related violence in the 1980s. That pressure, in turn, forced the U.S. government to begin providing answers as to why sporadic media and congressional investigations into the Contra-cocaine issue in the 1980s had been met with such hostility. In December 1985, my Associated Press colleague Brian Barger and I had been the first reporters to disclose the problem of many Contra units getting involved with the drug trade as a means of raising money. Our story prompted then-freshman Sen. John Kerry to conduct an investigation which turned up more evidence implicating the Contras. However, the Reagan administration engaged in what amounted to a P.R. counteroffensive against the troubling revelations. President Ronald Reagan’s Justice Department devoted much of its efforts to discrediting various witnesses while the CIA hid evidence that it possessed about some of the drug-tainted Contra operatives. It also was part of the tenor of those times that many careerist journalists realized that offending Reagan and his dedicated team of propagandists was a fast route to the unemployment line. A high premium was placed on proving you weren’t “liberal.” So, many major outlets, including the New York Times and the Washington Post, fell in line and disparaged the stories. By the late 1980s, the Contra-cocaine scandal was pretty much buried to the satisfaction of nearly all the powers-that-be in Official Washington. Which was where matters stood until 1996 when Webb uncovered some new leads regarding what happened to the Contra cocaine once it reached the United States. Webb’s misfortune, however, was that by 1996 those of us who had pioneered the investigations into the Contra-cocaine story, the Iran-Contra Affair and other of Reagan’s national security scandals had been pushed to the sidelines of mainstream journalism. The journalists who aided in the cover-ups had advanced to higher levels of management. Thus, Webb’s Contra-crack exposÃ© was not treated as an opportunity to reexamine an under-reported dark chapter of recent U.S. history but as a threat to many promising careers. The right-wing media led the initial assault on Webb, but the Big Three the Washington Post, the New York Times and the Los Angeles Times quickly followed. A typical way of “discrediting” Webb was to exaggerate what his articles had claimed regarding the CIA’s role in the cocaine trafficking and then mocking him as a nutty conspiracy theorist. The pile-on by the Big Media against Webb was so intimidating that Webb’s editors at the San Jose Mercury News soon lost their nerve and forced him to resign in disgrace, an outcome that was seen as vindicating the relentless attacks against him. Webb’s life continued into a downward spiral, viewed as a cautionary tale about the consequences of “reckless” journalism. Webb could not find decent-paying work in his own profession. 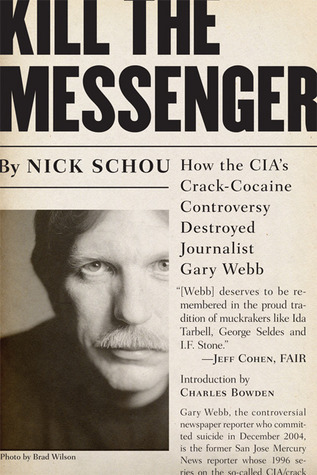 As Schou has recounted, including in his book, Kill the Messenger (upon which the upcoming movie is partly based), Webb faced personal humiliation as well as professional ruin. Finally, as Schou wrote, in December 2004, on “the same day he was to vacate his just-sold home and move in with his mother,” Webb shot and killed himself with a revolver. On May 22 on KPCC-FM 89.3’s AirTalk With Larry Mantle, former L.A. Times journalist Katz was pressed by callers to address his role in the destruction of Webb. Katz offered what could be viewed as a limited apology. However, the L.A. Times and the other major newspapers have never apologized in any formal way for their treatment of Webb and, more generally, the Contra-cocaine story. Indeed, after Webb’s suicide the L.A. Times and the Washington Post ran mean-spirited obituaries. As Schou noted in the L.A. Weekly, Webb had been reduced to near poverty by his inability to land a decent-paying job in his profession, ending up with only a part-time gig with an alternative weekly. We should all know the truth of what happens in our government from beginning to end. Mr. Parry always writes articles that make us think of what really was going on. Lost history is what we have in the country today. Its time to bring us back to that part of our past. Quotes omitted in previous post. I don’t see any way around that assumption. Pick any member of the public and ask them if they know the story of Gary Webb or Robert Parry and the events surrounding them. 95% have not a clue. These men were not alone in being pummeled for telling the truth. This is how you refute well researched, documented evidence which does not agree with what you think is true? I would put that percentage higher. Thanks for your comment. As several have already noted, this Parry stuff is BS. He is noted to be a very high quality writer of almost-true stuff with a curveball in just the right place, like perhaps the magic bullet taking a right-hand turn (and then a left-handed one). The technique is known as disinformation, and he is real good at it. He had me fooled for a very long time. And Oswald killed Tippett. And Mary Pinchot Meyer shot herself because she was depressed that Jack was gone. One has to stay with the inquiry for years and years in order to be able to see what was twisted and where. But undeniably the CIA was deeply involved in cocaine trafficking etc. Let’s not act like the degradation and assassination of someone who has turned one too many facts is new. Or old. It is ongoing. Let’s not assume that the public is ignorant and not smart enough to see the truths. Of COURSE the CIA didn’t kill him. They didn’t kill M.L.King, either . . . they got Military Intelligence to do it for them. It’s important to define the right or should I say the new right or NR is. The NR bears no resemblance to any republican or democrat that I was familiar with, back before 1980 that is. When Mr. Parry said “cross hairs of the right” I became puzzled and then irritated. Political change developed slowly and morphed a selected group of both republican and democrat congress members into a mob who’s only plan is fascist imperialism. The (new right) NR rose to power during the Reagan era. With Senators Mathias on one end and and Jack Kemp or Gingrich on the other. The middle, such as Berry Jackson wearing the “mainstream button” or old traditionalists like Senators Baker and Dole completely vanished. The Republican party then imploded and the remaining shards became members of the New Right. Even before the Reagan era, Nixon drove many a potential young and moderate republican away with Vietnam and Watergate and sometime during this period, traditional Democrats succumbed to those violent forces within the NR mob responsible for murdering JFK. Democrats have been bled to the point of death by a thousand cuts since the assassination, largely due to international corporations and their political hacks who militarized our entire economy at the expense of everyone and all else. Now that we have defined the new right, it comes as no surprise that another story has been unearthed about assassination, murder, gun running, dope and imperialistic conquests. I’d almost yawn, if I wasn’t so pissed. Once upon a long time ago I was a Republican who admired the courage and honesty of Betty Ford, and hoped Elizabeth Dole would run for president. When the Republican party decided it hated women and minorities I tried being a Democrat. Now I am a member of the NoneOfTheAbove party. I always did vote a spit ticket, but now almost all of our political alleged representatives seem to be spending most of their time feathering their own nests. Maybe we’ll get lucky and Mickey Mouse will run for president. Amazing nobody has ever interviewed one of Webb’s primary resources; as far as I know 1 of 2 still surviving…former USA Special Forces Cpt. This guy was in the thick. I wonder how serious you really are? Just a re-hash isn’t worth much. Isn`t there a history of collusion between the NYT`s and the CIA?